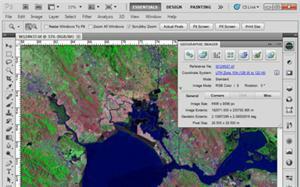 Since 1992 mapmakers worldwide have relied on Geocart to create their base maps. Geocart supplies powerful, intuitive tools for preparing vector and raster maps on a breathtaking variety of map projections. Nothing else like it exists. Draft, Proof, Final quality modes for raster rending to choose your trade-off between speed and quality. Shapefile import of point/line databases in "geographic" coordinates.